The perfect polish can literally set the tone for your wedding day look. Which is why we’re all about new neutrals. 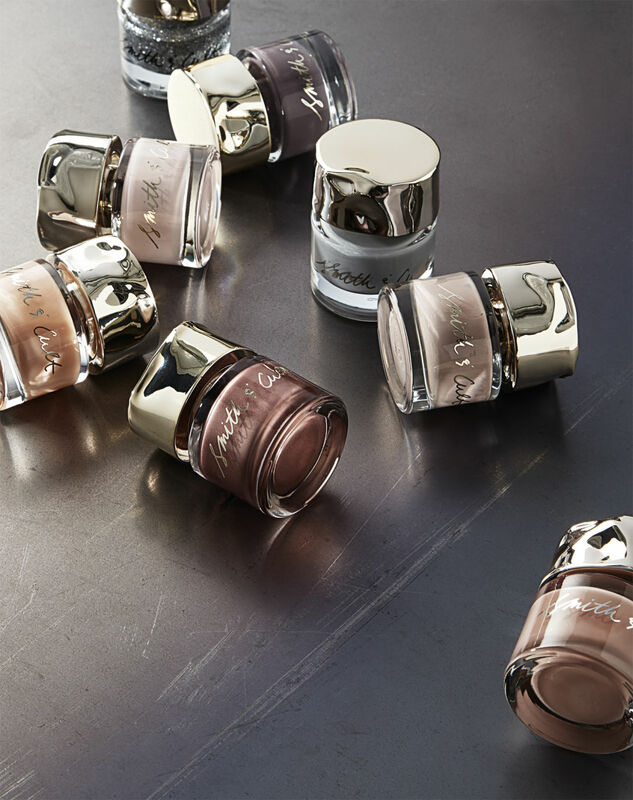 Sure, we love a good ballerina blush as much as the next girl, but these nail lacquers in delicate shades of pinks, browns, and blues from polish pros Smith & Cult have a way of complementing skin tones, gowns, and wedding day glamour without taking away from what should be the day’s main focus—you (obviously). Colors, counterclockwise from bottom right: Feathers and Flesh, The Graduate, Subnormal, Stockholm Syndrome, Glass Souls, Regret the Moon, Ghost Edit, 1972.